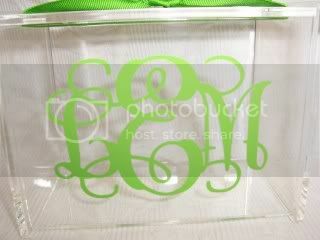 Beautiful acrylic recipe box with interlocking monogram in your choice of colors! 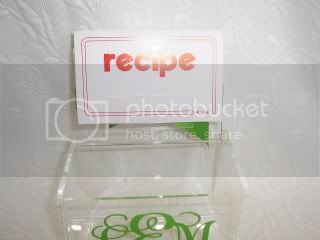 Made to hold 4x6 cards and has a flip top lid with recipe card holder. Can also be used in bath for cottonballs or q-tips or for paper clips and more in the office! 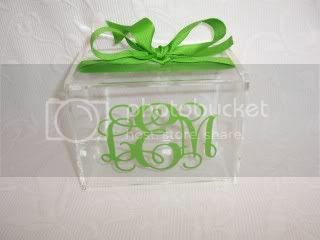 Great hostess, bridal or housewarming gift idea. Comes boutique wrapped in cello with coordinating ribbon bow and gift tag.